The best available Capos to buy are the following. As recommended in lessons, these are the capos I own and personally use. All are good, it’s up to yourself which quality you would like to go for. 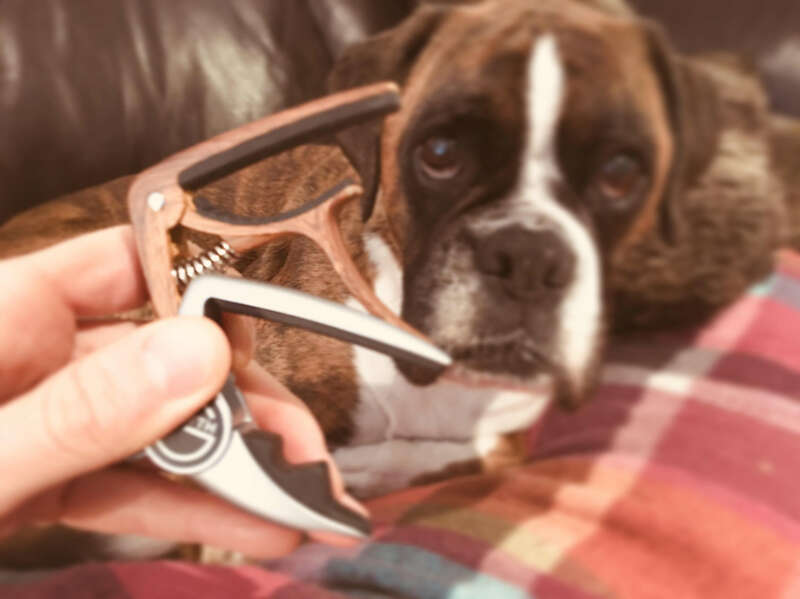 A capo is a small clamp which presses down the strings on the neck of the guitar to enable the player to play higher notes with minimal effort. It is very common and used a lot by songwriters, especially Ed Sheeran. This will do the job, but can sometimes struggle to fit over the neck and is made of plastic. It works buy squeezing the two levers together, placing it over the frets of the guitar on the neck (up against the fretwire (the silver bars) and releasing, allowing it to clamp down. A solid choice, made from metal so will last, but a little tricky to get the hang of and use. What can go wrong when using the capo on the guitar? You must be careful, or ensure you kid is careful to not push and clamp down the strings out of their usual, natural position. If so, this can cause th instrument to play and sound out of tune as the strings are bent out of pitch. A capo is a guitar accessory used to play chords in a higher pitch by singers and songwriters. I would certainly recommend going with the ‘best choice’ option if you can, but all/any of them will be acceptable. If you have any more questions, please as away and I’ll be happy to assist.